Protein production in recombinant DNA using E. coli is an efficient process that utilizes adapted genetic coding to create foreign amino acids. These amino acids form together into polypeptide chains, which are folded into proteins. E. coli's rate of reproduction makes it perfect for genetics. Proteins are produced through a process known as synthesis. The natural production of proteins within cells is accomplished over different stages. This is generally known as translation, which takes place in the cytoplasm of the cell. 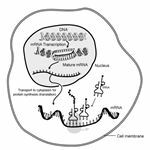 Messenger RNA (mRNA) enables the production of specific polypeptide from its coding. This is completed by the ribosomes, which identify and bind with the mRNA. The transfer RNA (tRNA) then transcribes the amino acid chain. Essentially the mRNA provides the information to create the polypeptide while the tRNA provides the material that is used by the ribosome to build the chain. The type of amino acid produced is defined by the coding in the genes. As successive tRNA interacts with the ribosome, new amino acids are produced and link to a growing protein chain. What makes Recombinant DNA Different? 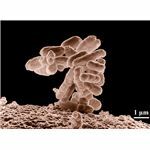 Instead of relying on natural genetic codes found in the bacteria, the process of production in recombinant DNA using E. coli is created by genes essentially infused into the subject. After identifying and isolating the desired gene from foreign DNA, the sample is then attached to a vector, or a type of delivery system. This process is known as ligation. Using a plasmid as the vector, a desired gene can be inserted into E. coli. A plasmid is a circular molecule containing DNA. A geneticist can use a restrictive enzyme to remove a portion of the plasmid. The new gene is then attached to the cleaved section. 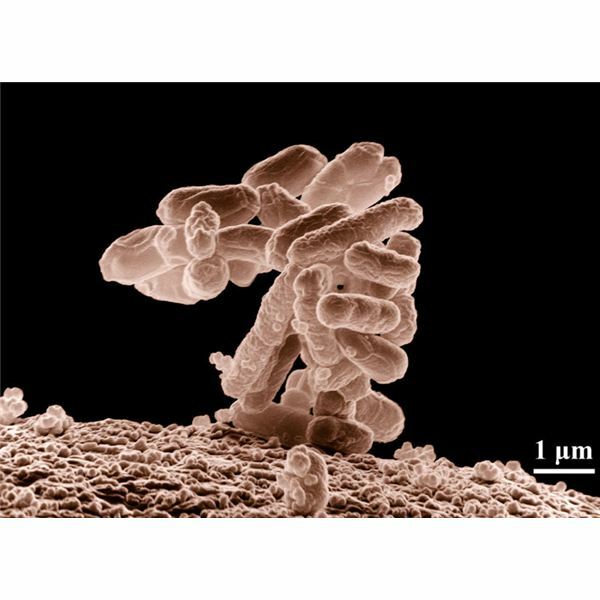 This vector can now be inserted into the bacteria using either a solution of calcium chloride or a small burst of electricity known as electroporation. This step is called transfection. Plasmids have the ability to replicate without chromosomal DNA. This means that the E. coli receives the new DNA capable of making a protein that is unique and not normally found in the bacteria. 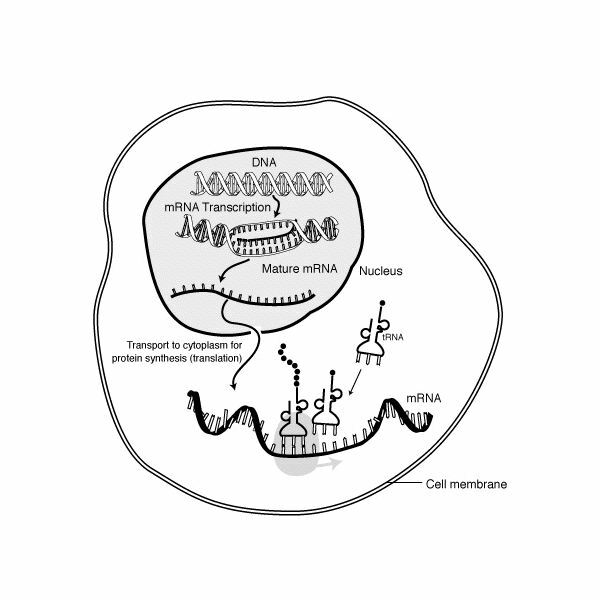 When the mRNA and tRNA use the information from the plasmid, it produces a protein. How Do We Replicate These Proteins? The benefit of using E. coli is the fact that the bacteria is capable of reproducing very quickly. Once the plasmid has been incorporated into the DNA of subject, the E. coli is left to replicate itself. Using a culture to stimulate growth, through cell division the subject can grow from a single sample to a replicated copy. Roughly 1000 nucleotides, the structures that form into DNA and RNA, are reproduced each second. This means that a single subject can become billions in 24 hours. E. coli is one of the best microorganisms for protein production due to the fact that its replication process includes a proof-reading function which results in nearly error-free copies. With the new genes added, each successive generation includes the new proteins. This protein production in recombinant DNA using E. coli has proven to be highly successful, particularly for the production of human insulin. Recombinant DNA is the process of merging genes from one organism with the genes of another organism. The most common method to complete the process involves using restriction enzymes to isolate a gene and then place it on a vector plasmid. It is then inserted into a host cell such as bacteria. What is the Most Common Way to Introduce Recombinant DNA to Bacteria?